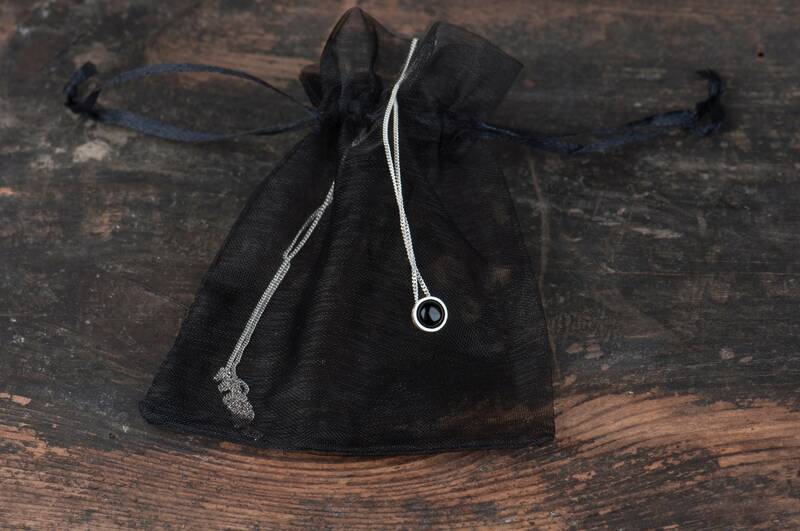 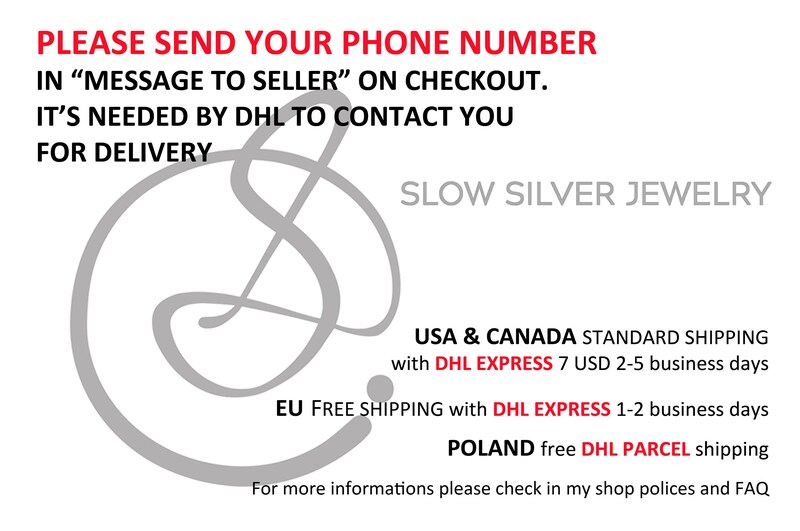 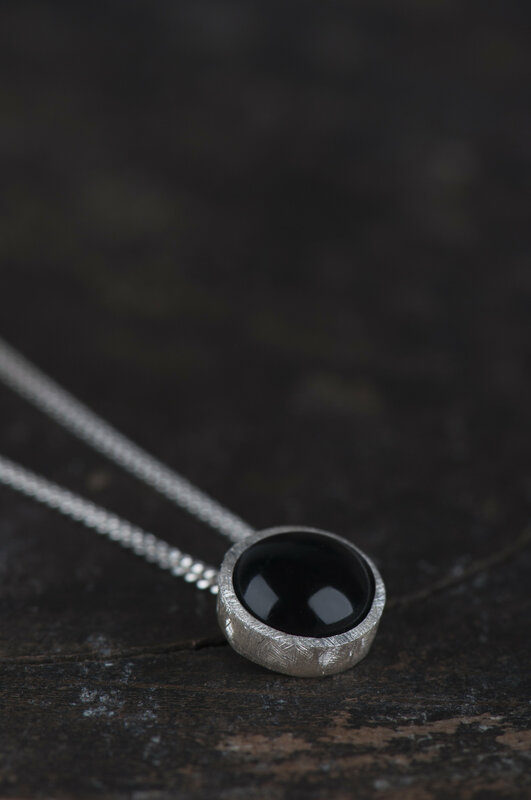 If you're looking for a minimalist and delicate everyday necklace here is something for you. 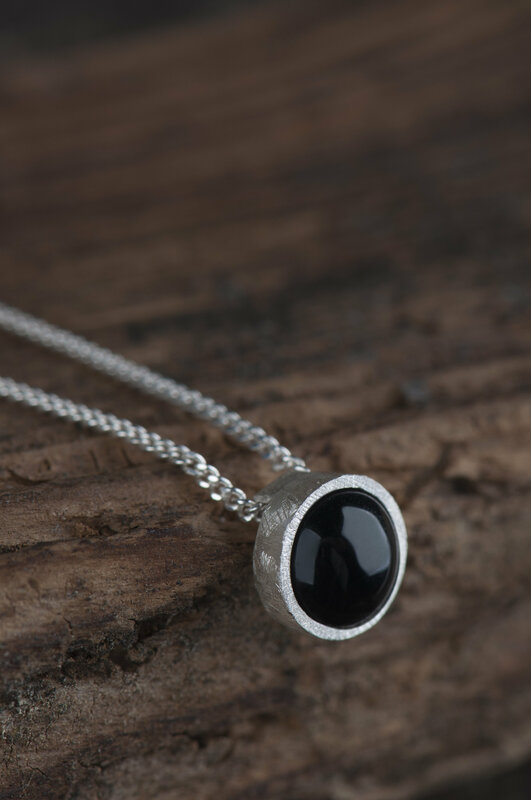 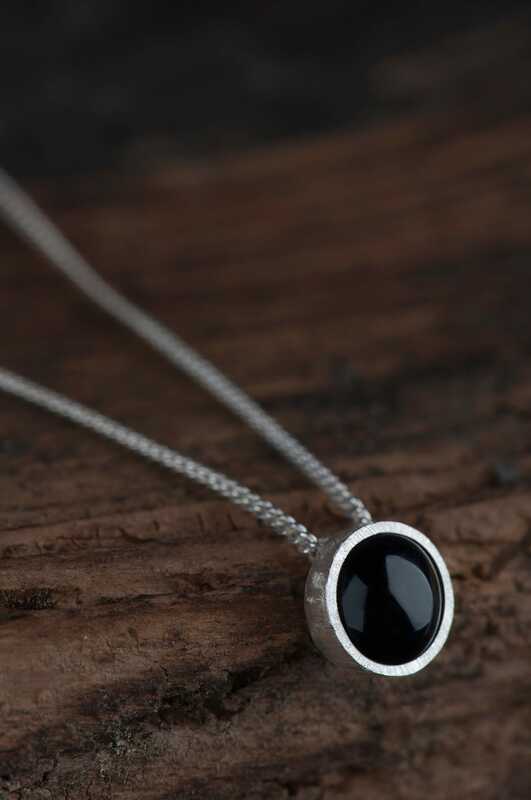 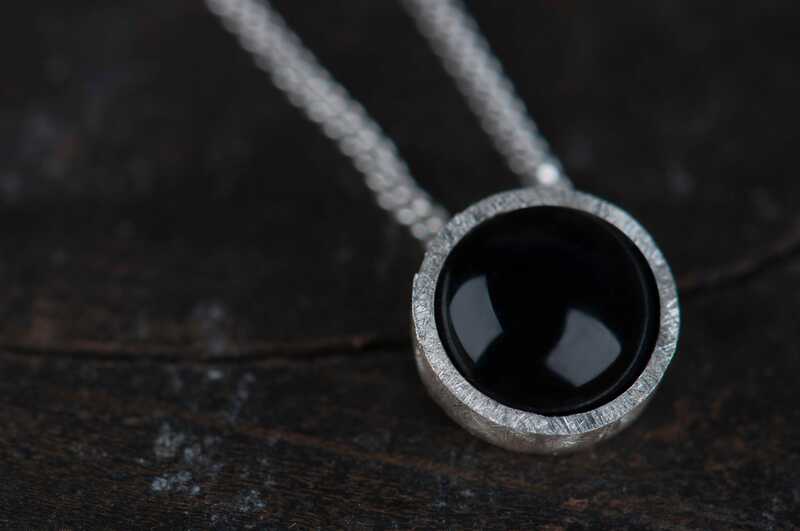 This black onyx necklace is small but noticeable. 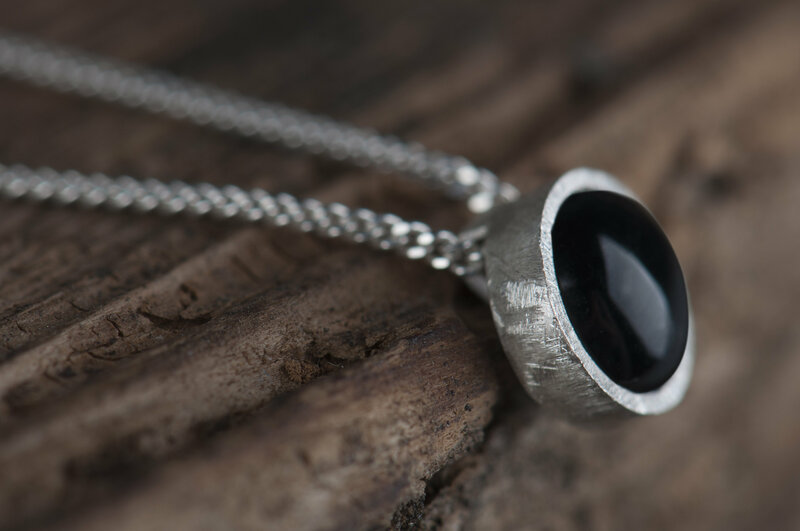 It has a simple shape which fits most outfits. 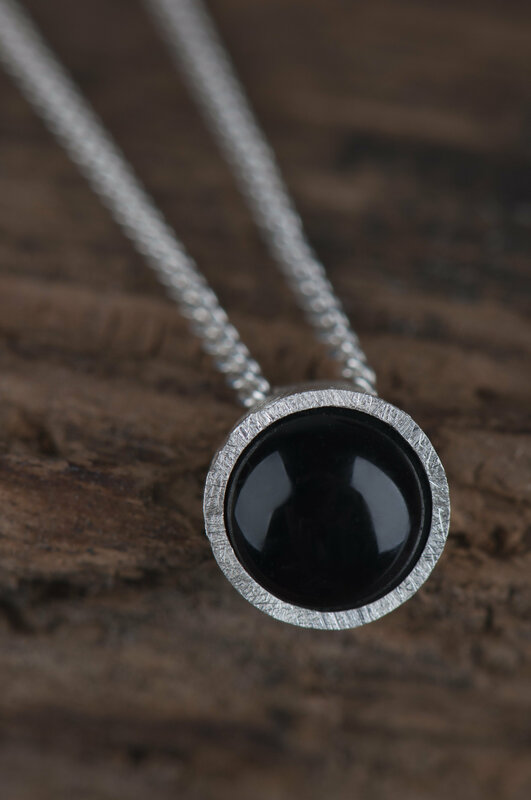 Because of it's size and color this onyx necklace is versatile and would be a good choice both for young and mature women. 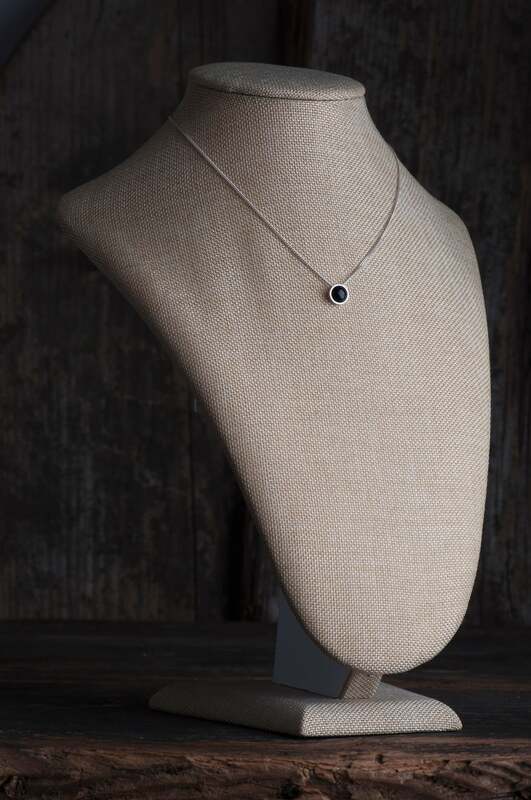 This necklace has one main feature which make it unique and looking different than most of dainty necklaces. 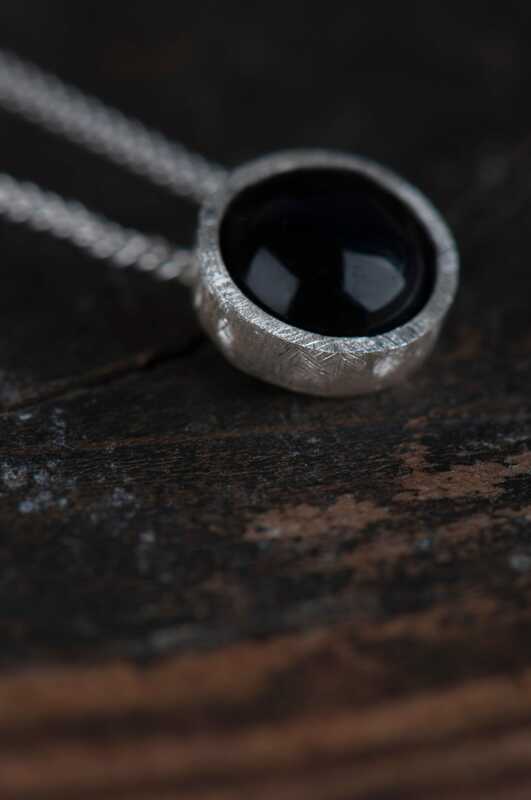 The setting has rough, scratched surface which is contrasting with smooth black onyx.